The UK’s energy market is braced for a potential new record for solar generation this weekend as industry professionals raise the prospect of negative pricing. With the UK set to bask in weather caused by a ‘Spanish Plume’, this weekend’s weather – and Saturday in particular – looks set to be considerably bright and the country’s large- and small-scale solar generators are perfectly placed to benefit. On 10 May this year generation peaked at 8.48GW for a half hourly period in the middle of the day and this is the current record for the highest amount of solar generation, however it has been suggested that this record could be broken this weekend. Even if that record is not broken UK solar could contribute a more significant share of the UK's energy mix than ever before given the likelihood that demand on the system will drop. This year has already seen a number of historic landmarks for solar and its role within the country’s energy mix. 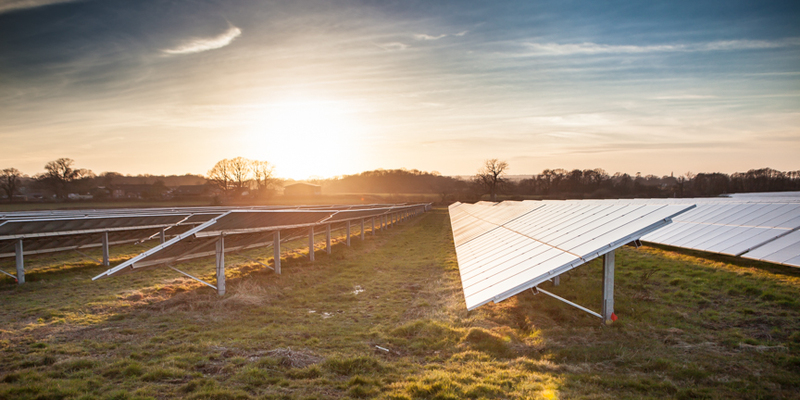 In late March unseasonably bright conditions sent afternoon energy demand tumbling below overnight demand for the first time in the UK’s history, and solar went on to contribute more than a quarter of the UK’s energy demand one Sunday afternoon in April. At yesterday’s FT Energy Transition Strategies event in central London the prospect of record solar generation was raised with several delegates and panellists, also raising the prospect of negative energy pricing. The wholesale electricity market has already witnessed significant volatility this year as a result of March’s solar generation and it is thought that if not this weekend, the UK’s generators are likely to be hit by times of negative pricing in a similar fashion to what has occurred intermittently in the German energy market in recent years. Speaking yesterday Jonathan Cobb, senior communication manager at the World Nuclear Association, said regulators would need to “look at the market if developers cannot even give away” electricity generated by solar.